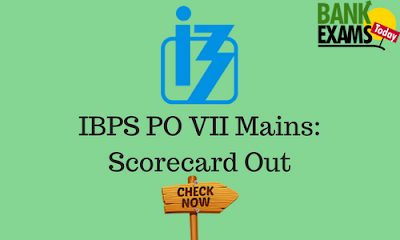 Institute of Banking Personnel Selection (IBPS) has published the Mains Exam Marks / Scorecard of IBPS CWE PO VII. Click Here to view Main Process for Arriving Standard Scores. Click Here to download the list of candidates shortlisted for Interview.